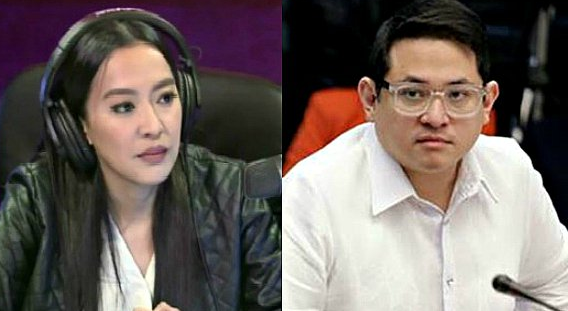 Presidential Communications Assistant Secretary Mocha Uson slammed Senator Bam Aquino for talking credit for the passage of the landmark free tuition law. "Grabeh maka epal itong si Bam.Matagal na yan pinupush. Kahit pinsan nya d yan ginawang priority kaya d maipasa yan.Kay PRRD lang yan pumasa." Mocha tweeted. "Co author daw si Bam at si PRRD nag sign lang naman so credit goes to Bam. Ay tongak! San ba manggagaling ang budget!? She said. President Rodrigo Duterte finally signed the Free tuition for state universities and colleges (SUCs) bill which didn’t signed by former President Benigno Aquino III. Despite of the warnings of his economic managers that the free tuition fee act cannot be afforded by the government, President Rodrigo Duterte insisted that it’s already time to give free college education to all SUCs student. The measure would require the government to spend P100 billion, based on estimates by the Budget department. But senators believed that free education to all state universities and colleges student is a good investment.